In what seems to be an election stunt, California Senator Kamala Harris, a Democrat whose campaign for the Democratic nomination has generated as much interest as a local pizza shop including liver pizza on its menu, has re-introduced a bill to allow illegal aliens to serve as aides and interns in Congress. The bill would lift a ban on Deferred Action for Childhood Arrivals (DACA) recipients from being able to apply for positions on the staffs of elected officials. The bill isn’t new. It was initially filed earlier this year by Rep. Ann Kirkpatrick (D-Az). But Harris chose this week to push the bill because her presidential campaign is getting little if any traction. Democrats have been trying to float this bill for years. It has repeatedly failed since 2016. The truth is, the law doesn’t “pick on’ illegal immigrants. A little-known provision tucked into annual appropriations bills expressly bars most non-U.S. citizens from working for the feds. Annual appropriations enactments prohibit the use of funds for the compensation of any federal government employee or officer in the continental United States unless that person is (1) a U.S. citizen, (2) an LPR [legal permanent resident] who is applying for naturalization, (3) a person admitted as a refugee or granted asylum who has filed a declaration of intent to become an LPR and eventually a U.S. citizen, or (4) a non-citizen, U.S. national who owes allegiance to the United States (e.g., a person born in American Samoa). Elizabeth Perez brought here when she was a child complained to Roll Call when her application to work in Congress was rejected. “I cried out of frustration. I felt the way I felt when I found out DACA had been rescinded. I felt like the country that I love didn’t want me. And even as I sit here now, I feel that rejection all over again. Because I know my community deserves people like them to fight for them in Congress,” added Perez, who remained in Phoenix, working for a candidate for city council. But Liz, when the President was willing to trade legalization of dreamers for a border barrier, your Democratic Party friends punted. And that’s what Kamala Harris’ bill is all about. Instead of working with the Republicans to come up with a compromise that protected both America’s borders and the dreamers, Harris and her Democratic caucus colleagues only care about creating one-sided bills that will never pass so they can call Republicans names in an overdramatic manner. 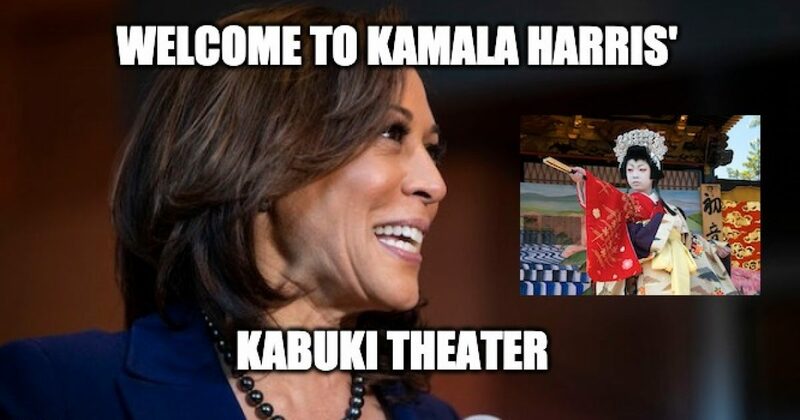 It’s political Kabuki theater. There is no way her bill gets the sixty votes for cloture and an eventual vote on the Senate floor and I suspect that she doesn’t expect it to come up for a vote either. Parts of this post was first seen at Godfather Politics.